Amazed? But YES, now it's possible to search for #hashtags in Google itself. 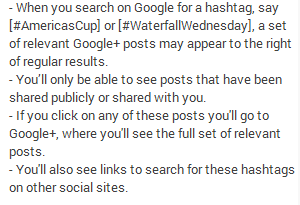 Searching for #hashtags returns a set of relevant Google Plus posts that have been shared publicly or shared with you. The returned results gets displayed on the right hand side of the regular search results. Have a look at the below screen shot that displays results returned when searching for a hashtag #Emmys. 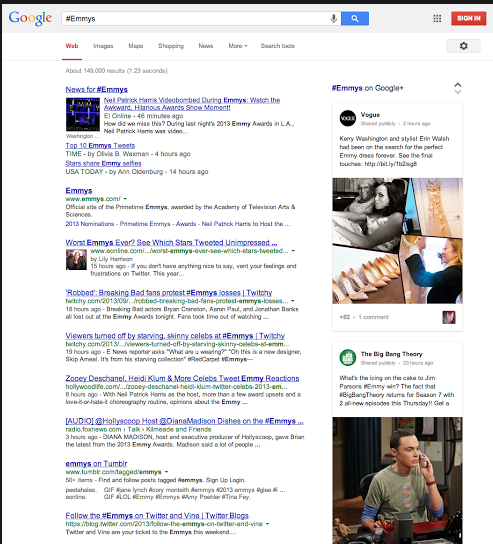 Notice the results on the right hand side which comes directly from Google Plus.